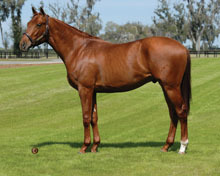 TOUCH GOLD has been a leading General Sire and leading Juvenile Sire for the past two seasons. 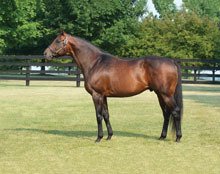 He has now sired 37 stakes horses and $22-million, including four U. S Grade I winners from his first two crops. Touch Gold has sired a multiple Grade I winner whose dam has Blushing Groom in the second generation. He has achieved marked success with mares that carry Mr. Prospector–half of his stakes horses are out of mares with the Mr. Prospector influence in their pedigree. 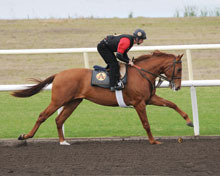 This Touch Gold two-year-old is the first colt from the ultra consistent Grade I mare TRANSCENDENTAL. Transcendental was on the board in 13 of 15 starts against the best mares of her generation, including three consecutive runner-up efforts against Grade I competition.